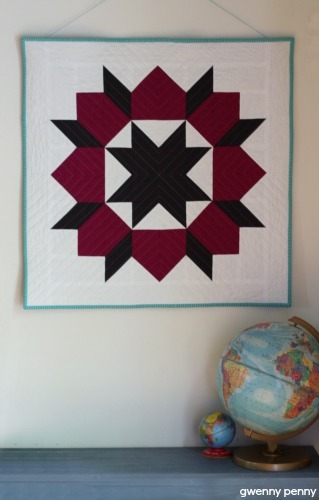 I added a 3" white border, and when all was said and done, the final quilt measures about 29" square. 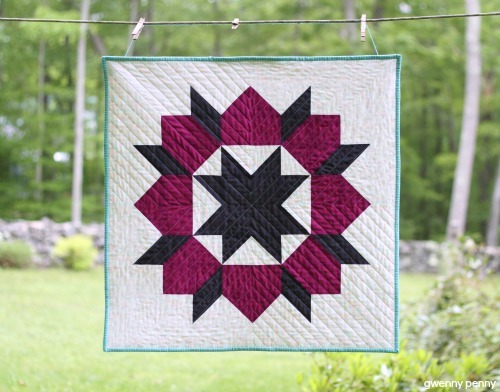 The "X" quilting was inspired by the quilting that Kirsten from Gemini Stitches used on her gorgeous modified Swoon block. It ended up being a lot less difficult than I imagined. 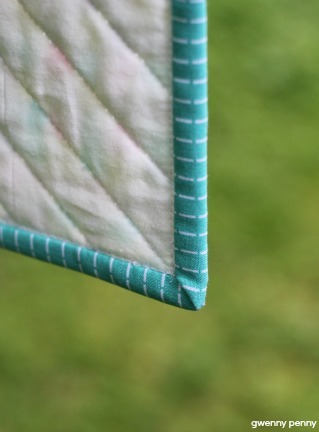 The binding on this quilt has been waiting on the sidelines for the right project to come along. 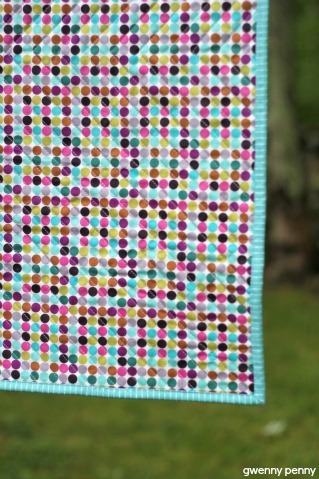 Rita from Red Pepper Quilts used this turquoise Patty Young Running Stitch fabric (from the Lush collection) on her beautiful postage stamp quilt, and I immediately ordered the fabric for "someday". Its been sitting around for about a year, and I'm so glad I finally got to use it for this project. 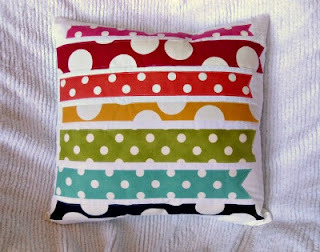 The back is some polka dot fabric I've had sitting around for a couple years. It never really went with anything that I was working on (since I tend to favor the ROY G BIV color scheme), but these colors really worked for this quilt. Gwen, this is beautiful! I love the fabric combinations and the straight-line quilting is just perfect! I wouldn't miss partying with you for anything! Nice job Gwen! Thanks for sharing. I like your color choices.